Behind every great veterinarian is a great team of veterinary technicians. 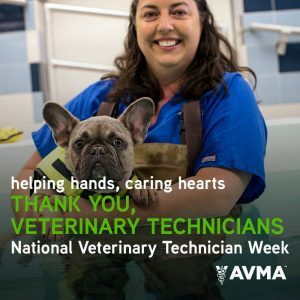 That is why the veterinary industry designates one week every year to specifically recognize the invaluable contributions that vet techs make in the care of sick pets every single day. 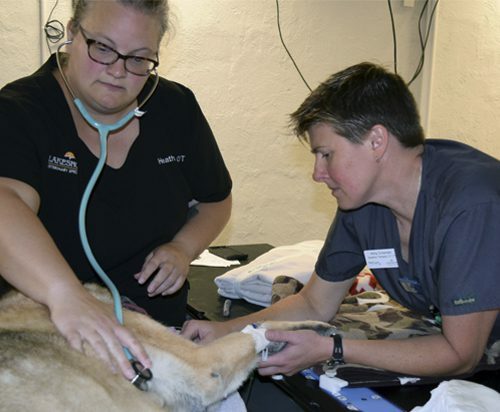 Often working outside of the spotlight, veterinary technicians play a crucial role in the care of every pet that walks into a PetCure Oncology center. Whether they are supporting clients, monitoring anesthesia, capturing advanced images or interacting with the pets in our care, the magnitude of their impact on all of our patients is far greater than one might think. At PetCure Oncology in Clifton, NJ, we are fortunate to have three wonderful technicians: Susan, Kara, and Tracy. Their backgrounds vary greatly, ranging from the fashion industry, to ultrasonography, to general practice, and emergency. While they have had different paths that have lead them to PetCure, their passion for and love of animals is a common thread. The level of caring shown by each of our technicians to each and every one of our patients and their families far exceeds the call of their position. 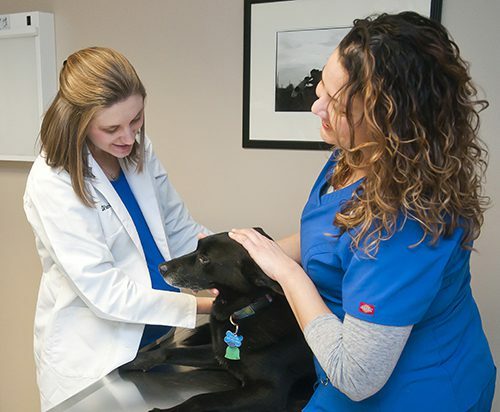 It is not uncommon to find a patient who is spending the day with us curled up in the technician’s office being petted, resting comfortably next to a staff member, or being brushed out to freshen their coat. Susan, Kara and Tracy are a truly dedicated and compassionate group of experienced technicians. We are incredibly lucky to have them representing PetCure, and even luckier to have them caring for our patients. The veterinary technicians that I work with at Lakeshore Veterinary Specialists are one of the nicest groups of people that I’ve had the pleasure of working with. Being relatively new to this center, I can’t tell you what it means to work with such skilled and professional people. I have quickly come to respect and trust all of them as they have taken me under their wings and helped me acclimate to a new environment. I am enjoying my new position and work family. Thank you to all of Lakeshore for welcoming me in and so generously helping me get settled! From everybody at PetCure Oncology, a great big THANK YOU to all of the veterinary technicians out there!